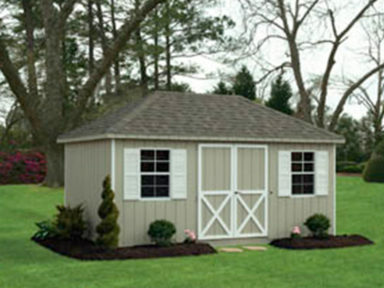 This new style structure offers a contemporary hip style roof built on the same solid foundation and wall structure as our Cape Cod buildings. 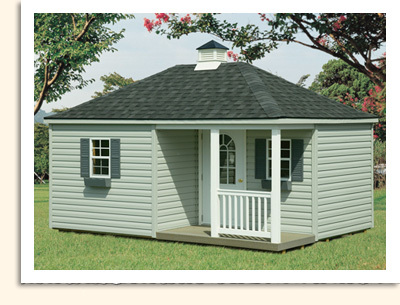 The Villa adds a touch of gracious style to your backyard. 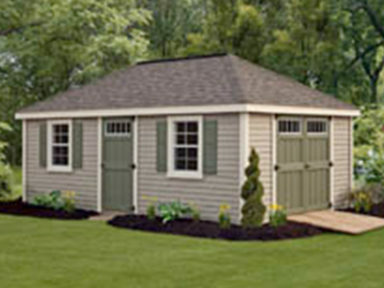 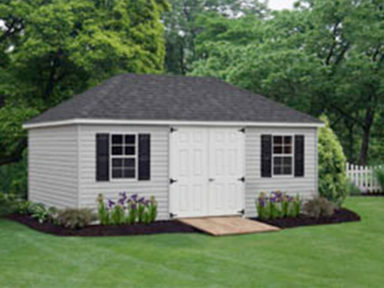 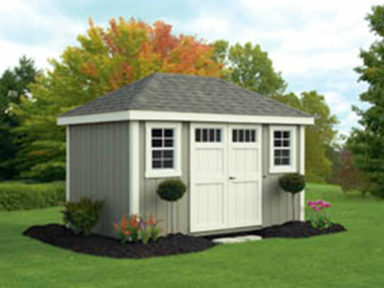 See our portfolio of Hip Villa style sheds below.